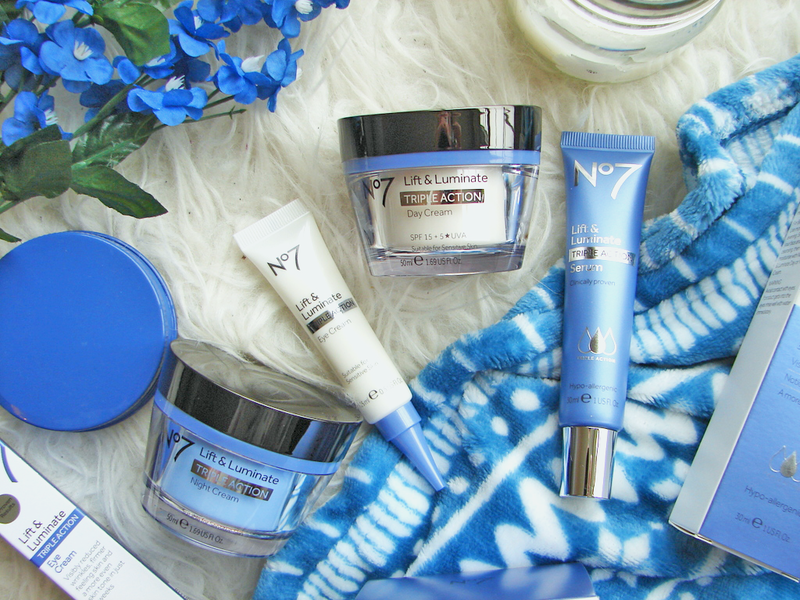 Ever since I got to the age when I started discovering make-up and the world of beauty, I've grown up with Boots No7 skin care. My Mum was completely obsessed with it and used the infamous Protect & Perfect range from the brand religiously up until about a year or so ago when she branched out and started dabbling in other names. 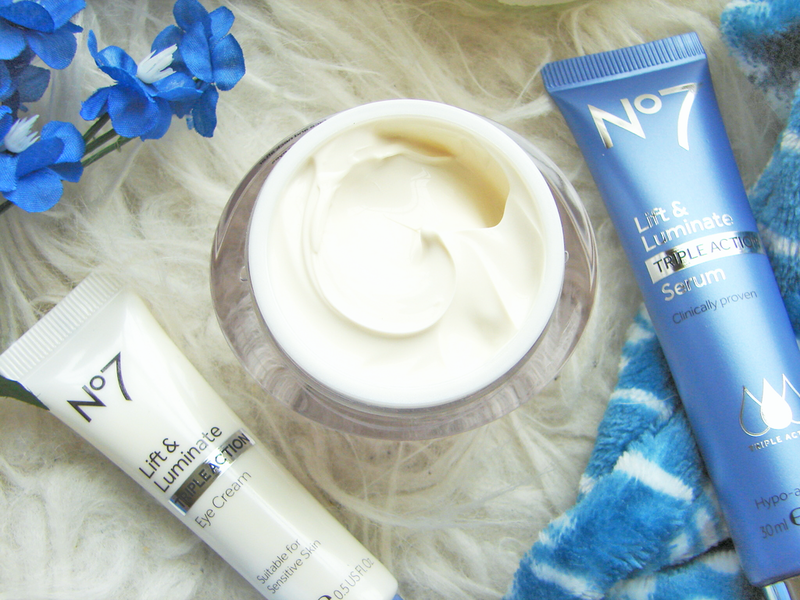 Growing up with this No7 influence, I first used (and still use) their Essential Moisture day and night creams for whenever my skin needed a hit of hydration and completed adored it. No7 have built their reputation around offering the cutting edge of skin care technology for half the price you would get elsewhere, and that is exactly why many of their products have become staples in beauty routines everywhere. Their Lift & Luminate Triple Action serum is one of these; what's even better is that the best-selling formula has now been extended into the full range which launched 18th January. 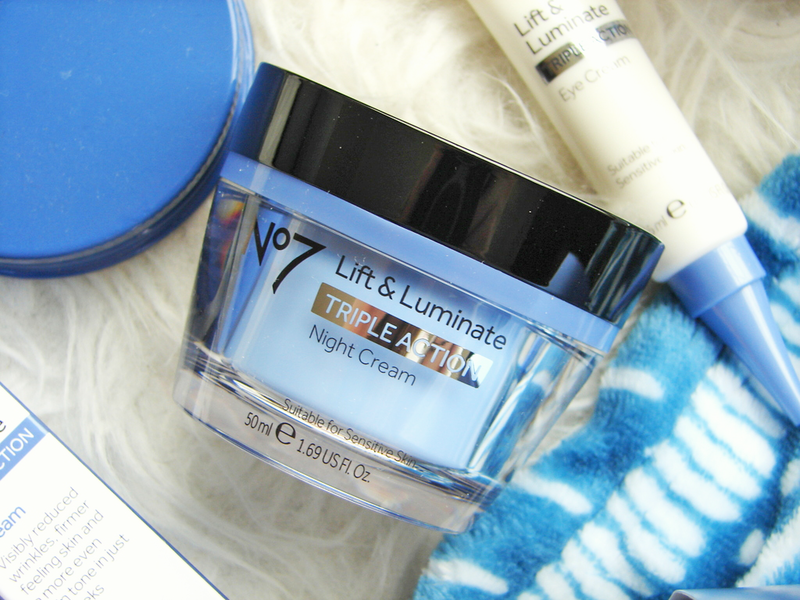 Previously just Lift & Luminate, meet the revamped Lift & Luminate Triple Action range. Within this range there are four items which, No7 claim, have incredible skin care benefits when used in conjunction with each other. 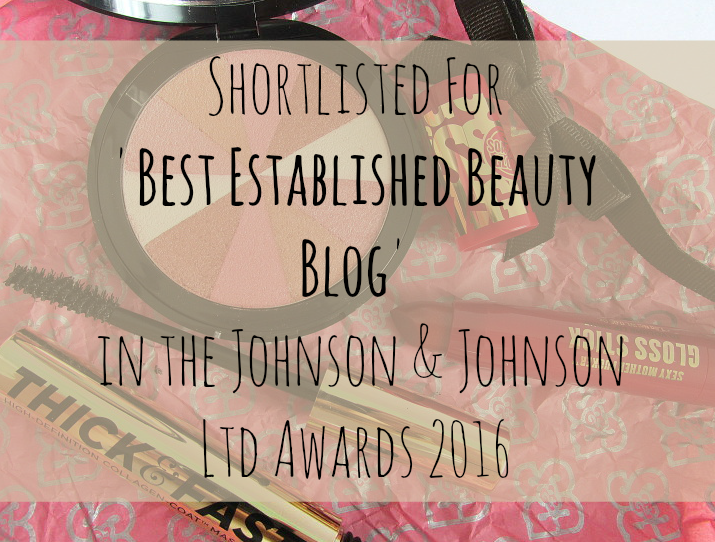 These include a day cream, night cream, the much-loved original serum, and an eye cream. Although there has always been a lot of hype around the latest No7 skin care launches, this is usually not without scientific backing. This special Triple Action formula which is setting this particular range aside contains the key ingredient of Matrixyl 3000 (a powerful peptide blend that effectively works to combat wrinkles), Hyaluronic Acid (which gives skin a firmer appearance due to its ability to retain water), Hibiscus extract (which helps support collagen production, making skin look smoother and firmer) and a Lightening Complex (including Vitamic C and Indian gooseberry to provide a more even skin tone). All of these ingredients help towards combating signs of ageing; lifting and firming skin, evening skin tone and reducing the visibility of wrinkles. Whilst I haven't been using this as it is aimed at mature skin (I'm 22 so don't think I need to start using this just yet! 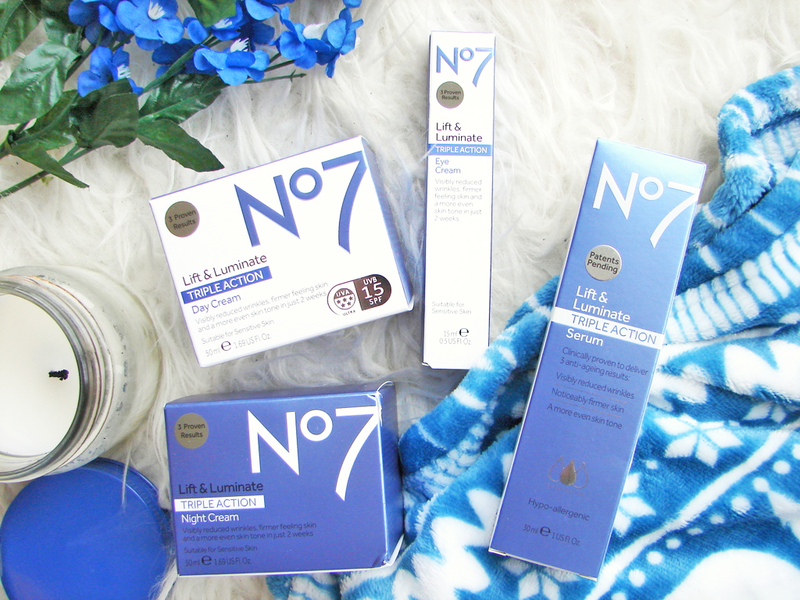 ), I tested out the textures and they seem very similar to most other creams and serums in the No7 range; if you are a fan of other ranges and how they feel on your skin, you will love these. 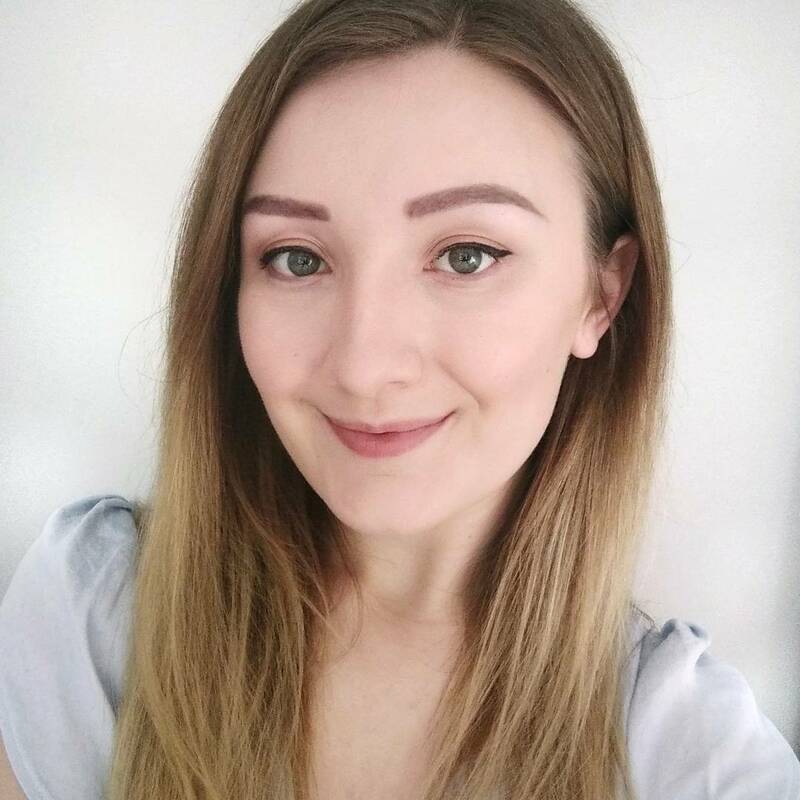 The day and night creams are quite thick (the day cream surprisingly so) but they don't leave too much of a greasy texture that some heavier products tend to; all can be comfortably worn underneath make-up whilst still hydrating your skin. 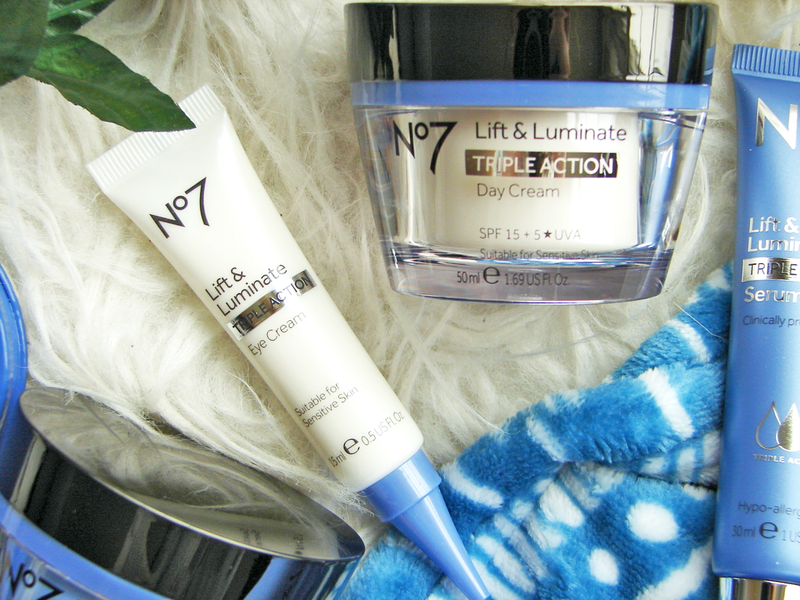 It's another skin care collection from No7 with proven results- apparently 88% of women who tested this range saw better results when they used the day cream alongside the serum. 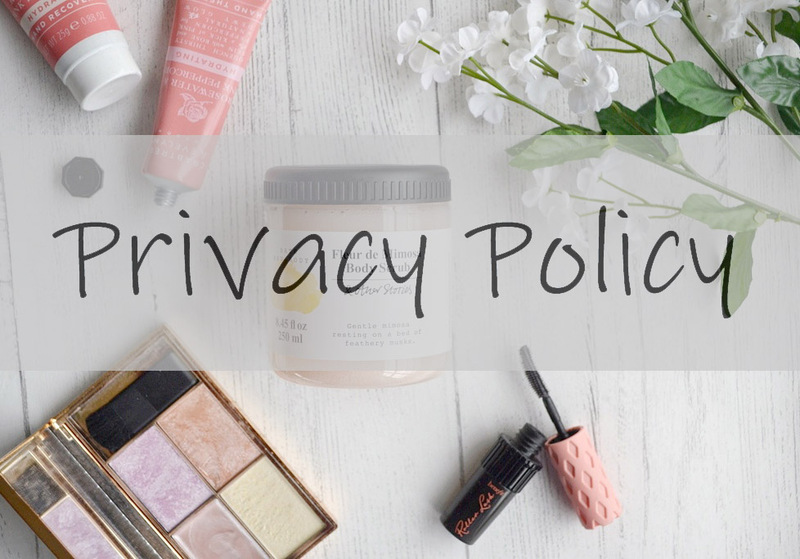 Although this may suit those of you who love the brand and always like to have the full range, I personally prefer to use a medly of different brands to suit my skincare needs. 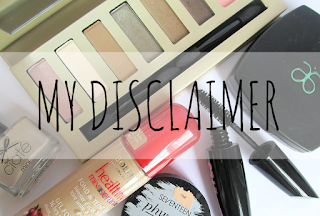 My Mum will be testing this range out so I will report back to let you know if she sees any results from using this new range, whether certain products stand out more than others, and if using a combination of all of them really make a difference (or whether you can get away with selective buying). Whatever the results, what I continue to love about No7 is how they make good skin care so affordable. Hats off to that! 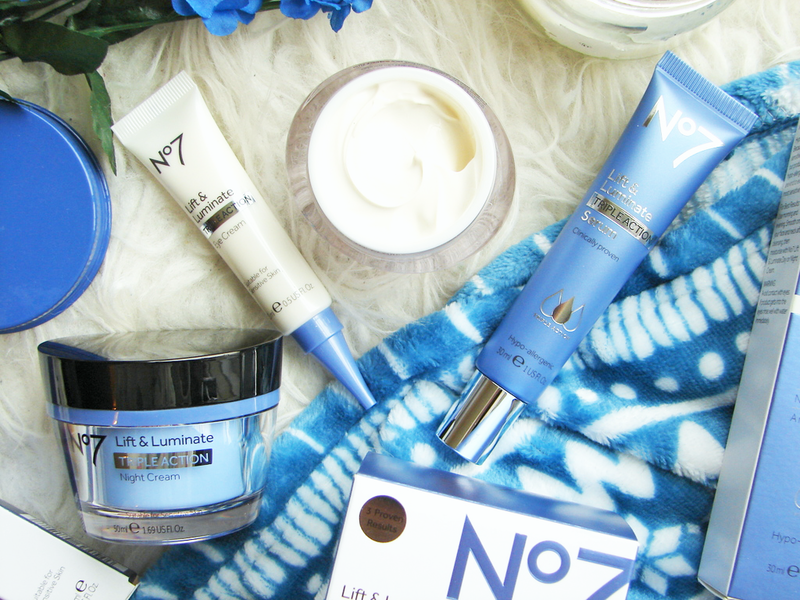 Do you love No7 skincare? 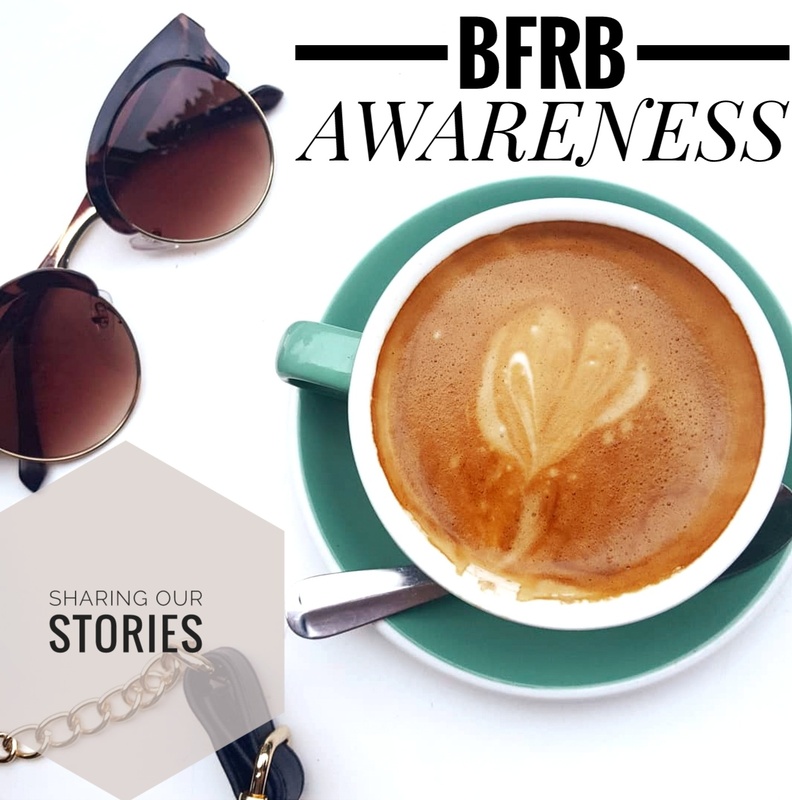 Or do you think there's always too much hype around new launches?